If your reading this blog, it’s likely that you, like all Shred Sisters, view biking as your escape. Riding can be your break from the daily grind, a little piece of heaven under green canopies, and a splash of excitement in an otherwise dismal day. We are busy women with advancing careers, families, and goals; however, we’re two wheels away from a little slice of heaven that we can carve out for ourselves. For Shred Sisters coach Tracey, she thought the world of biking was limited to the flat city landscape, biking was rigid frames and banana bars. It was only when her husband introduced her to off-track riding did her horizons expand. With her first hard tail and a little courage she entered the world of mountain biking. 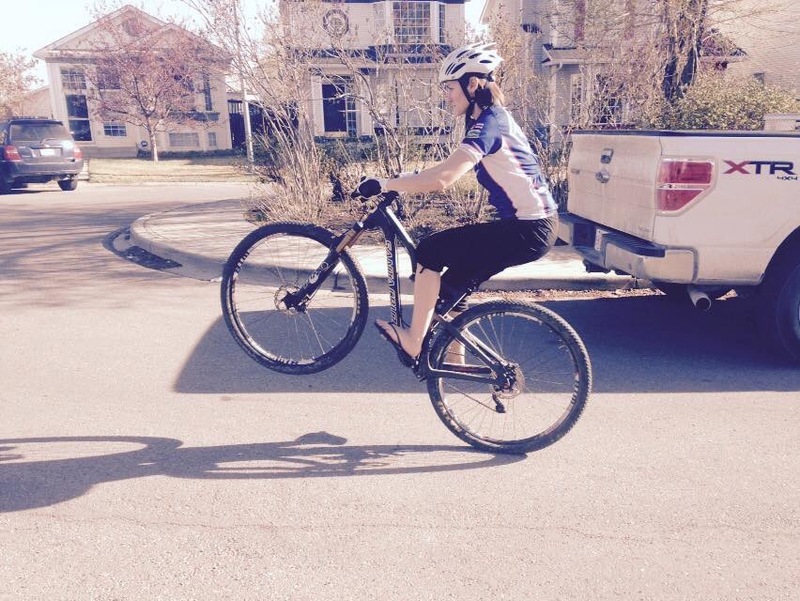 She started riding with coworkers and even entered the Calgary Corporate Challenge… and won! She now finds immense satisfaction racing; she’s able to pedal harder, go longer, and accomplish more in every race she enters. Tracey then took on a whole new challenge, motherhood! In under three years she brought three bouncing baby boys into the world. However, after rearing three tiny tykes she found herself missing the trails. She needed to find a way to balance both work and play. Tracey was eager to find her way back on her bike and into the riding community; it was then Tracey found her new passion as part of women’s riding groups. She could go out weekly, learn new trails, try out new skills, and her passion for coaching ignited from there. Back in 2012, Tracey began volunteering as an assistant coach. She was able to learn more about her own riding through coaching others and found a sense of fulfillment seeing others master skill they never thought possible. Tracey progressed to becoming a lead coach, completed her PMBIA Level 1 in 2016, and found a new home with Shred Sisters! 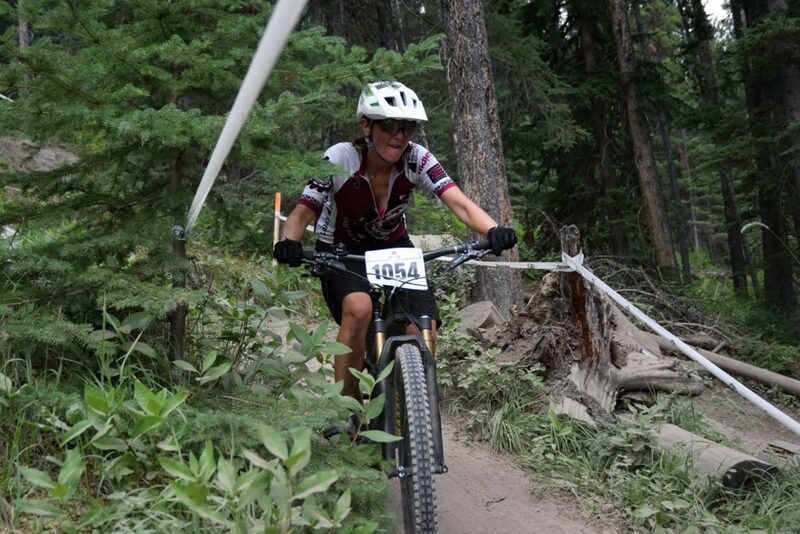 For Tracey, becoming a mountain bike instructor was an easy transition from her career in Kinesiology. During her time at the YMCA, she helped triathletes reach their fullest potential and lectured professional trainers on pre-natal client care. Tracey loves seeing women who are ‘preggers’ still getting their ride on! She’s helped high level rider keep their passion going even into late stages of their pregnancy. Whether it’s a single ride or a whole week course, Tracey’s goal is that you go home with confidence about one new skill. She approaches riders who are overwhelmed or frustrated and helps them break down the problem at hand; taking complicated skills and putting them into simple steps. She ensures that everyone has something they can feel accomplished about and can come back to the group with a smile. It’s incredibly important to Tracey that women leave feeling successful in something and can pass that on to others. What is Tracey’s advice for those getting into the sport? Take a course! Mountain Bike lessons help you create a foundation, build confidence, and prevent bad habits before they even start. She encourages new riders to find a community of positive people. The social aspect of riding can be both your intro to the sport and the driving force to keep going. Your life partner doesn’t always make the best riding buddy; if they’ve been riding for a long time so long that they no longer know how to teach the foundations because it now comes natural to them. Tracey pushes more experienced riders to challenge themselves to prevent getting stuck in a ‘rut’; people often choose familiar trails and comfortable durations for their rides. 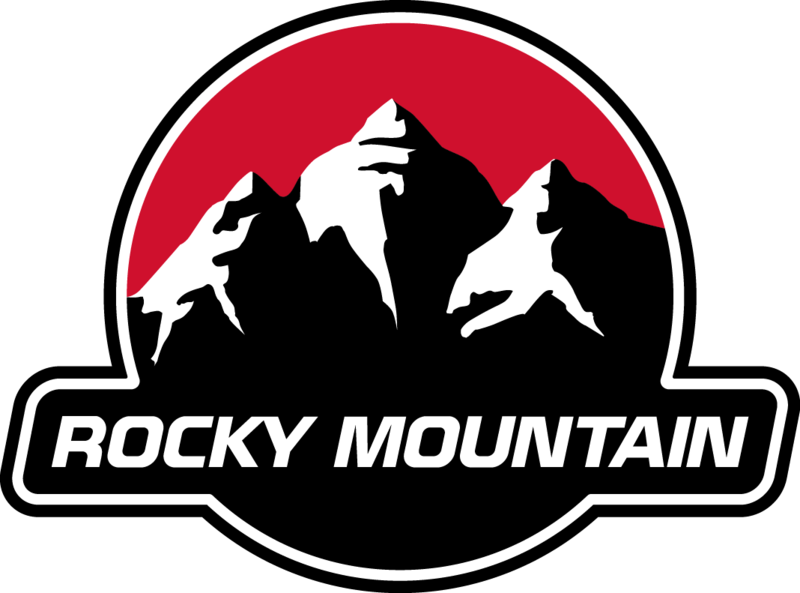 Tracey suggests challenging yourself with a new Jump Courses or picking the ‘scary’ trail. Sometimes driving your skills forward means going back to the basics; Tracey often has her riders pick a skill, slow it down, then challenge themselves to preform it in various terrain. So why does Tracey coach? Simply, it makes her happy. Her heart sores every time she gets feedback from her clients. She gets the same excitement coaching as when she gets on her bike to hit the trails. Join Tracey this summer, and find your little slice of heaven!